Figure 1: Illustration of the diversity of fleshy fruit types in peach (stone fruit), apple (pome), strawberry (receptacle), and raspberry (drupelets). 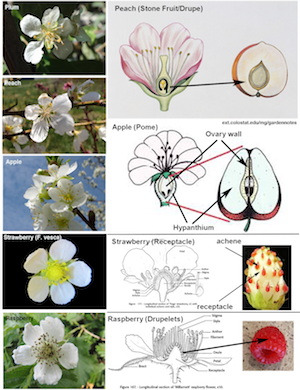 All of these fruit types are derived from different floral parts post fertilization. 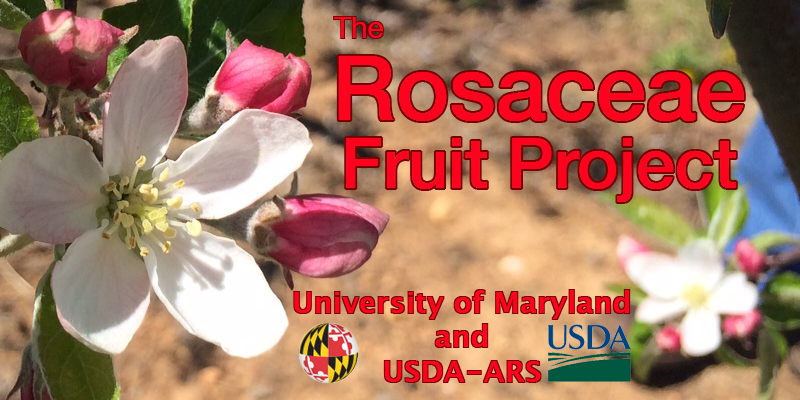 This NSF-funded project investigates the molecular genetic mechanisms that underlie the phenotypic diversity of fleshy fruits in Rosaceae, an economically important family that includes many fruit crops including apple, peach, plum, almond, strawberry, and raspberry. In this plant family, fleshy fruits could develop from the receptacle (strawberry), the mesocarp of the ovary (peach), hypanthium (apple), and the achenes (raspberry) (Figure 1). How this remarkable diversity of fruit types is achieved is currently unknown. We will describe in detail morphological progression of flower and early stage fruit development. This knowledge will guide sample collection for RNA-seq immediately before and after fertilization in specific floral tissues in apple, peach, raspberry, and strawberry. Innovative bioinformatic tools and strategies will be developed to identify toolkit genes and regulatory gene networks, whose spatial or temporal shifts of expression may alter fleshy fruit programs in different species. 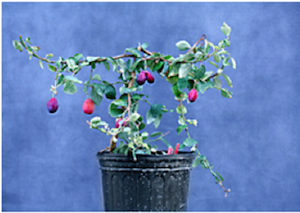 Functional tests will be carried out to test the function of predicted toolkit genes using strawberry (Figure 2), FasTrack plum (Figure 3), and apple, for which transformation methods have been established. The ultimate goal is to identify causal relationships between changes of toolkit gene expression and evolution of distinct fleshy fruit types. 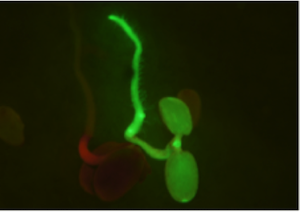 Figure 2: GFP-positive strawberry seedlings, illustrating the successful germline transformation. 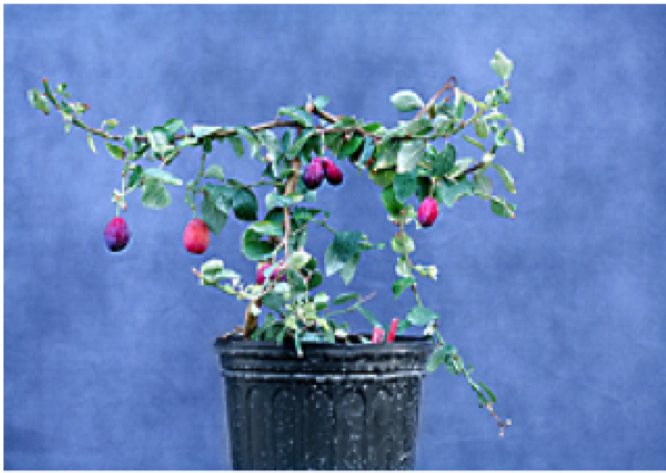 Figure 3: Instead of the normal 3-10 years required for a seedling plum to flower and produce fruit, FasTrack plum was created by USDA scientists that flowers and makes fruit in a matter of 6 months to a year. These FasTrack plum will be invaluable for our research in testing gene function in fruit development.